It’s ironic, muses Jim Higgins, how supposedly savvy investors in commercial real estate have been so slow to differentiate between a couple of very basic types of retail. There’s a big difference between shopping malls and shopping centers, he notes, and while Real Estate Investment Trust equities related to these property types have both traded down an average of 40 to 50 percent over the last 18 months, some elements of the latter have significant return potential. 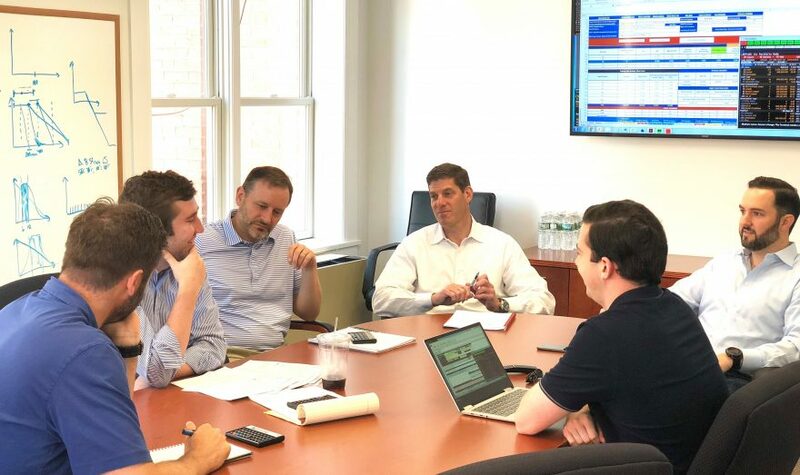 That seems to elude many folks in the world of investment management, but it’s well recognized at Sorin Capital Management, the independent and very specialized firm Higgins founded 14 years ago in Stamford, Connecticut. 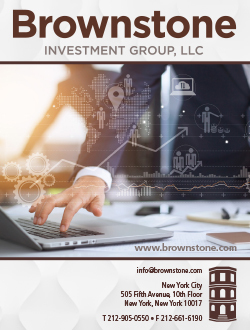 It’s geared toward institutional clients pursuing long-term gains through such tools as REITs, debt and equity, commercial mortgage backed securities (CMBS) and commercial real estate loans (CRE). And before anybody can hope to join his team, they’d better share Higgins’ knowledge of commercial real estate and what sets its entities apart. Specialists, after all, have to do a better job. Concerns abound about the vitality of shopping malls, and rightfully so, Higgins acknowledges, as one retailer after another either goes down for the count or staggers about with shoppers few and far between. JC Penney, Sears, Macy’s—the very retailers relied upon to be anchor tenants—aren’t doing so well, or are closing stores, and their hard times are causing collateral damage to the secondary stores, while threatening the very existence of many a mall. For a mall’s business model is heavily reliant on apparel sales, and with more and more items of clothing being bought online, sometimes for less, there’s little reason for shoppers to go, in many cases, miles out of their way to a big building of retailers. Time was when these stores could anticipate a holiday windfall to make up for what may have been a slow year, but even Novembers and Decembers have become lean. Evidence is seen in the closed storefronts and food court outlets at Anyplace Mall USA, and bargain prices year-round at what stores remain open. But it’s a much more encouraging outlook with shopping centers, which are typically anchored by a grocery store and a drug store/pharmacy. Adjoining in-line tenants can include pizzerias, coffee shops, dry cleaners, hair stylists and other small retailers and service providers that benefit from the foot traffic created by the anchor tenants. As far as its rather sophisticated clientele is concerned, the Sorin investment style is also the way to go. The firm’s $1 billion in assets under management, largely comes from some of the biggest private and public pension plans in the U.S. and Canada, alternative asset firms and innovative family offices. – Index alternatives for clients looking for sector exposure with a better risk profile. – Current return and safe yield for investors wanting to avoid excessive duration or credit risks. – Absolute return for those willing to let more ride, with the possibility of greater reward. – Compelling relative value with the so-called alpha strategy that seeks returns uncorrelated to the broader markets. With such complex transactions putting a premium on expertise in the many facets of commercial real estate, Higgins can laud his 10-person investment team; large for a firm of Sorin’s size, but necessary for the specialized management that’s its stock in trade. His partners are Thomas Digan, head of portfolio management and trading, and Tom Tam, the chief financial officer. A Chartered Financial Analyst with a BBA from Notre Dame, Digan co-chairs CRE Finance Council and CMBS Secondary Market Liquidity Task Force. A former Tiger Management fund controller and a BBA from Pace University, Tam has over 20 years’ experience in public accounting and hedge fund management. And the now 50-year-old Higgins—he earned an MBA from the University of Texas and a BBA from Notre Dame, and logged seven years at Bear Stearns, building from scratch its CMBS and commercial mortgage business. Always confident, he states that the Bear Stearns CMBS division became one of the industry’s best. But despite having risen to the level of a senior managing director, Higgins opted to go out on his own at the age of 36. But that’s the investment world at its most basic: Gauging the markets, weighing and mitigating the risks, winning the trust of clients who become your partners, adjusting to new economic realities and, if you’re on target more often than not, seeing your business grow, largely through reputation. With $1 billion in assets under management and a very discerning clientele, Higgins and his carefully selected team seem to be doing all that, and more.